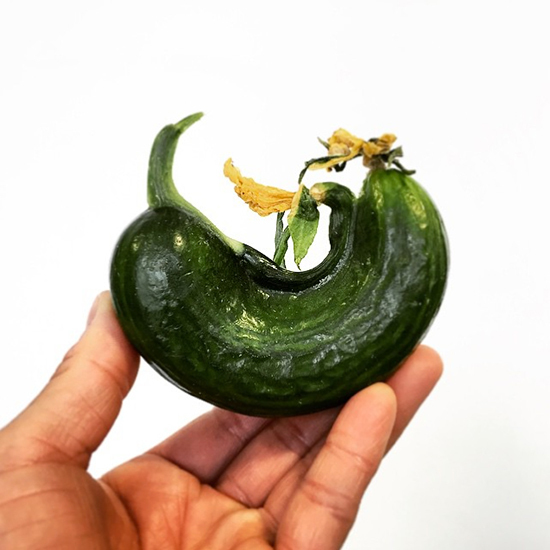 F&W editor-in-chief Dana Cowin isn’t the only one campaigning for us to #LoveUglyFood: @UglyFruitAndVeg food activist Jordan Figueiredo and nutritionist Stefanie Sacks are out to save the world, one piece of "undesirable" produce at a time. F&W editor-in-chief Dana Cowin isn’t the only one campaigning for us to #LoveUglyFood: @UglyFruitAndVeg food activist Jordan Figueiredo and nutritionist Stefanie Sacks are out to save the world, one piece of "undesirable" produce at a time. According to a study conducted for the International Congress, a whopping 26 percent of produce in the United States gets thrown out because it is deemed too cosmetically imperfect to be able to sell in stores. In an effort to curb waste, Figueiredo and Sacks hope to convince stores like Walmart and Whole Foods to sell the less-than-beautiful produce or, as the two activists say, the #uglies. Join the dynamic duo on their quest to stop food waste by signing their petition and using the #WhatTheFork hashtag across social media channels to commit to the cause. Most importantly, when you see uglies on shelves, make sure to buy them. Visit EndFoodWaste.org for more information and ways to help end food waste and hunger.